I’ve been working on a screenplay for awhile now and was recently asked to write a one page synopsis for it. I opened up Word, drummed my fingers against the side of my glass of water and pondered. What’s the best way to write a synopsis? 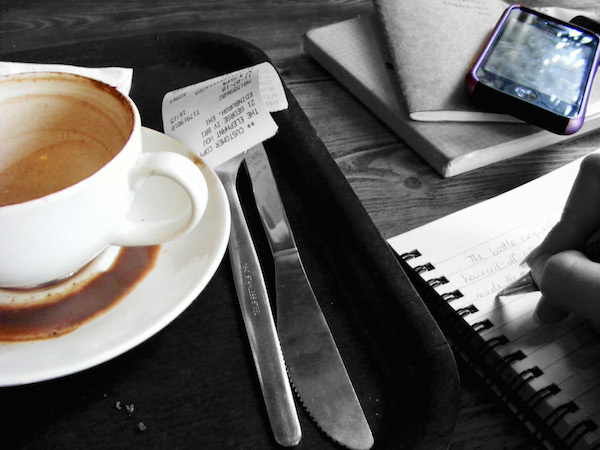 This – before you ask – isn’t going to be a break down of how I wrote my synopsis. I think that there are lots of other blogs that run it down much better than I will. I’m simply going to let you guys know what I learnt during this process. First thing I learnt is that one page synopses are hard. Seriously. I started off with a bit of a ‘No worries, I can do this easy,’ train of thought, I’ll have to admit, but when I hit the end of page one and was suddenly spilling over to page two, then hit about the half way mark of page two, I knew I’d have to do a fair bit of editing work to get it back down to where it needed to be. The second thing I discovered was that the tone of your synopsis should reflect the tone of your story. If you’re writing a comedy, don’t be afraid to keep the tone loose and jokey. If you’re writing a thriller, the tone will need to be tense and clipped. You want the synopsis to make the reader want to read the film. If the synopsis doesn’t bring out some emotion in the reader, you might need to go back and tweak it so that it ebbs and flows like your script should. The third thing was that you don’t need to include everything in a one pager. You really don’t. It’s actually a great exercise to do if you have a bit of an unwieldy plot – whether a main plot or a subplot – because it helps to show you the story you’re thinking about the most. And sometimes the story you’re focusing on, isn’t the main story. You might actually be working with the wrong protagonist but you might not realise it until you’ve written half a page of plot about the policeman who is chasing the criminal and his life story instead of the criminal who you started writing the story about in the first place. I had to leave some of my subplots out of my synopsis. But that doesn’t mean that they don’t exist – it just means that the emphasis of a one pager needs to be about the main threads of the story. So forget about your quirky subplot about the love interest between the waitress in the cafe who sleeps with the criminal. Focus on everything that’s important to the main plot – the policeman catching the criminal. The fourth? Your synopsis isn’t gospel. This was something that I used to struggle with a lot, especially when I didn’t do as many rewrites for a lot of my early shorts (and you can tell, ahem). But writing treatments and synopses aren’t setting your story in concrete. That’s one of the best things about writing is that it’s always in a constant state of flux – until it’s locked on DVD or Blu Ray. But even then, there are such things as Director’s Cuts. If something’s not working, you can cross/scribble/highlight and delete it out of there. If something is working NOW, doesn’t always mean that you won’t need to change it in the future. You might come across a better story option. You might come across a better character trait. What you’re effectively doing by writing your synopsis or treatment is writing a representation of your story at that moment in time. That doesn’t mean that your story has to remain like that forever. The fifth thing I learnt was you need feedback on your synopsis just like you would a script. It’s a no-brainer, really. I would never send anything out without getting at least a second pair of eyes on it. They can also help you to identify what might not be working in your story, things that aren’t coming across clearly in your synopsis and simple things like ‘But the policeman has a gun in the final scene, surely? Why doesn’t he just shoot the guy?’ With questions like that, it highlights potential problems with your story that you can then go and fix before you send it out again. This is one of the greatest things about writing treatments and synopses – you can figure out problems before you hit the script and then you aren’t as attached to dialogue or plotlines that you might’ve slaved over in Final Draft. It’s almost always likely that you can’t see some of your problems because you’re too close to your work, so a fresh pair of eyes is really really important. The last thing I realised is that you shouldn’t let it sit as a task that is big and insurmountable. It’s not. It is a lot easier than you think if you’re prepared to do the work to make it strong. And it becomes a vital tool for your work. It’s a document that you can use to help shape your story and it will also become a base for your next synopsis – unless you do a total overhaul of the script because there are lots of things not working. 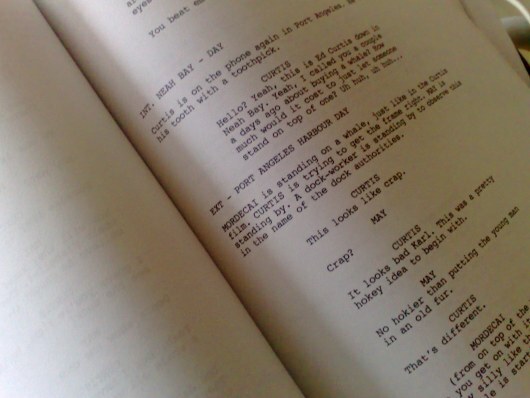 Every time you redraft a script, redraft your synopsis. That keeps it fresh and up to date and it means that you’ll have something ready to send when Mr Spielberg sends you an email and asks for an outline of one of your scripts. Wait. What do you mean it doesn’t work that way?